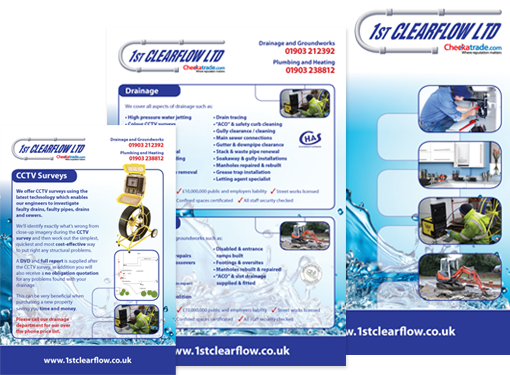 1st Clear Flow required us to design a promotional pack, including an oversized A4 Folder, A4 Inserts, A5 Inserts and a shop Banner. We also re-developed their Brand Identity. Hurley Design Consultants can help you and your business thrive with our professional and contemporary approach to Graphic Design and Print. Having creative and professionally designed marketing material will allow your business to stand out from the crowd and give you the edge over your competitors. We can help you develop your brand across your marketing literature building your business a strong identity with the continuity and professionalism it deserves. 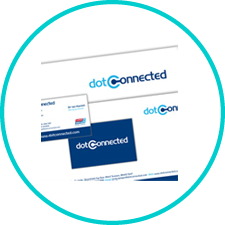 So whether you require a simple Business Card, Stationery, Exhibition Graphics or a large corporate brochure or catalogue, Hurley Design Consultants can help you achieve your goals and help your business look it’s best for your customers. At Hurley Design Consultants our designers have years of experience with creating Graphic Design solutions for Print, and is the core service which Hurley Design was founded on. If you would like to discuss your project with us please contact one of our designers on 01903 765904 or simply fill in the form to your right and well get back to you right away. 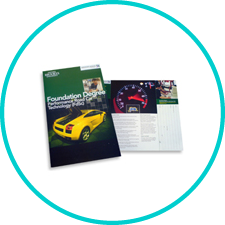 We create engaging and innovate brochure design solutions, managing each stage from concepts through to the final printed brochure from our Sussex based studio. 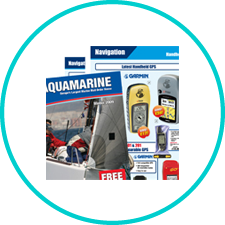 Our designers have a wealth of experience in designing brochures, delivering clean and stylish layouts, contemporary typography and skillfully drawn illustrations. We also provide a print management service and have built good relationships with local Printers. 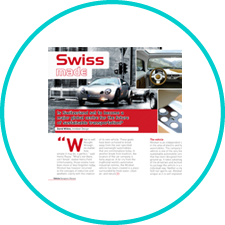 We can deliver clean and well structured magazine layouts, and our designers have good knowledge of typography selection and efficiently managing content with a focus on readability and creating enjoyable reading experiences. Our catalogue design service will help you effectively showcase your company products or services to your target audience, portraying the whole reason you’re in business, getting your products noticed, your business recognised, compliment your company identity and give confidence to potential customers. 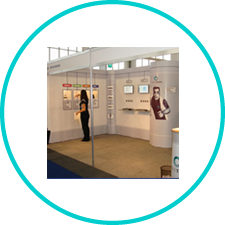 We design Eye-catching Exhibition Graphics for all types of Shows & Events and deliver graphics which are eye catching, engage interest in your products, get your company noticed and which successfully get your message across to potential customers. Whether you require graphics for a small banner stand or large exhibition system we can provide the perfect solution. 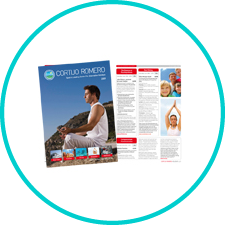 We create eye-catching, creative design for brand focused promotion and marketing material, including Leaflets, Flyers, Posters and banners. We can design clean, contemporary stationery design solutions ensuring brand continuity and improving client communication.